Anticipating the recent release of the new Angry Birds movie, Guinness, the world renowned breakers of records, have revealed the top 10 titles our furious feathered friends have thus far achieved! 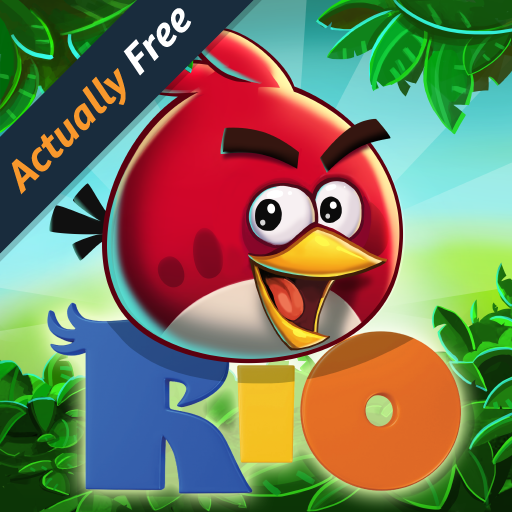 Rovio, who are the creators of this mobile game, have managed to accumulate over 34 Angry Bird Guinness World Record titles, many of which feature in the new 'Guinness World Records 2016: Blockbusters!' book. Want to know what some of them are? Then please, check this out. 1) The First App to Sell Movie Rights: On the 15th of May, 2013, Sony Pictures Entertainment announced that it had acquired worldwide distribution rights for a movie based on Rovio's app series, Angry Birds. 2) The First Mobile Game Series to Reach One Billion Downloads: On the 9th of May, 2012, Finnish developer Rovio Entertainment said that its Angry Birds series of games had racked up a total of 1 billion downloads, making it the first mobile game franchise to cross the impressive milestone. The total included combined download stats for Angry Birds (December 2009), Angry Birds Seasons (October 2010), Angry Birds Rio (March 2011) and Angry Birds Space (March 2012). 3) Most Theme Parks Based on a Video Game: From the 22nd of February, 2016, there were 11 official fun parks based on these feathery app stars. Two of them can be found in the UK, while China, Malaysia, Russia, and Spain, each have one. 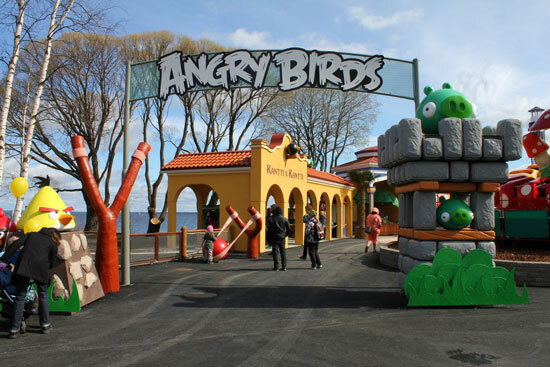 The rest can be found in Finland -- home to Angry Birds creator Rovio -- with the biggest located at the Särkänniemi Adventure Park. 4) Highest Score on Level 1-1 of "Poached Eggs" on Angry Birds for Chrome: The highest score on Angry Birds for Chrome (Rovio, 2011) is 37,510 points, and was achieved by Stephen Kish from East Sussex, UK, on the 23rd of August, 2011. 5) Most Watched Angry Birds YouTube Video: As of the 17th of March, 2015, "Angry Birds & The Mighty Eagle" (uploaded by Rovio on the 10th of September, 2010) is the most watched Angry Birds video on YouTube, totaling 110,195,650 views. Rovio created the 1-minute 45-second animation to showcase its Mighty Eagle character, who made his Angry Birds debut in December, 2010. 6) Best-selling Paid-for iPhone App: In May, 2013, Apple published a list of the top 25 most purchased iPhone apps of all time. Flying high in the number one spot was, surprise-surprise, Angry Birds. 7) Largest Game of Angry Birds: In order to welcome Finnish viewers to his American talk-show, the March 3rd 2011 edition of Conan O’Brien featured a man-sized version of the game in his studio set. The game was recreated by the show’s production staff and featured obstacles made from furniture, while inflatable balls were used to represent the game’s birds and pigs. 8) First Official Video-game Merchandise Shop: When Rovio opened its Angry Birds shop in Helsinki, Finland, in November, 2011, it became the first shop to sell official merchandise from a single gaming franchise. 9) Most Number One Positions Held by an App Store Game: The greatest number of countries that a game in the Apple App Store has occupied the number one spot is 67, and, yes, you guessed it, this was achieved by the one and only, Angriest of thy Birdiest. 10) The Highest Total Score in Angry Birds Space “Eggsteroids” (PC): There are 14 bonus Eggsteroid levels in Angry Birds Space that can only be visited by finding Golden Eggsteroids within the main game. On the 10th of May, 2013, Germany's Hendrik “Nintendo S.T.A.R.” Bunde set his final record of 77, 830 points on level E-08 to rack up a top total score of 1,092,235 for all Eggsteroid stages combined. 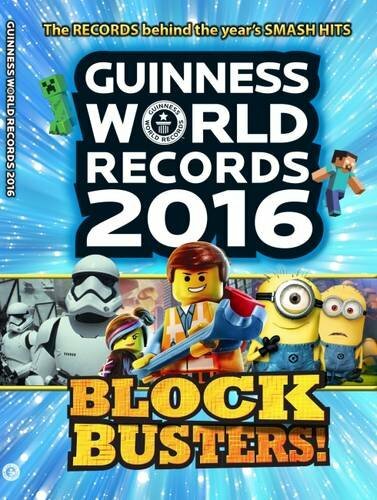 The brand new Guinness World Records Blockbusters 2016 book is on sale now.